"Lyric's excellent new staging by Jose Maria Condemi pointedly reconfirmed Ernani's viability in the repertoire?the characters, as rendered through Piave's adaption of Victor Hugos' Hernani, do not exactly provide opportunity for great interpretative depth but Condemi admirably found a reasonable multi-dimensionality in them"
A funny thing happened on the way to the final curtain of Lyric Opera of Chicago?s new production of Ernani. 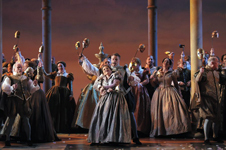 At the first intermission, the audience was buzzing, semi-stunned by the convolutions of the story set in 16th-century Spain.By the second intermission, the absurdities of this early Verdi opera and by the final curtain, they no longer mattered. 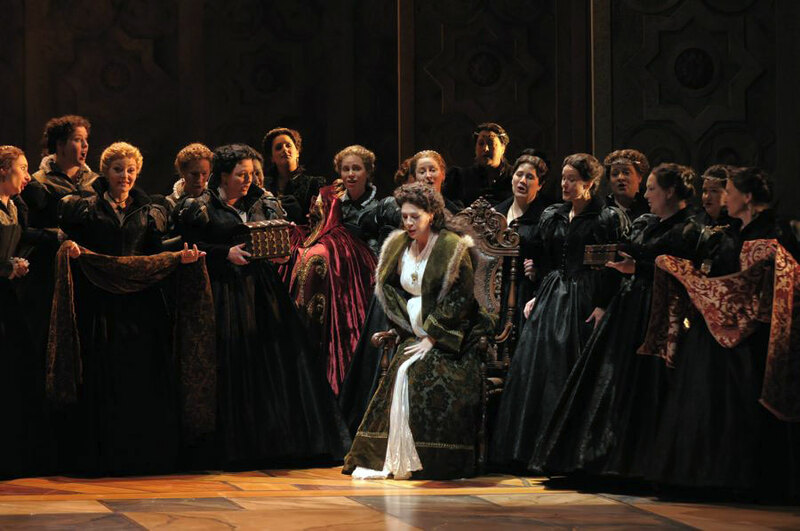 Director Jose Maria Condemi?s staging was equally deft, managing to keep both principals and chorus on the move without resorting to stale stage business. 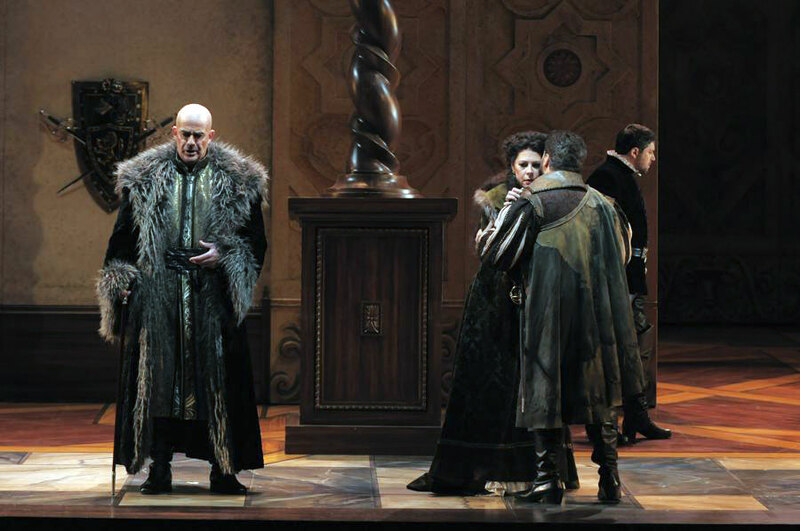 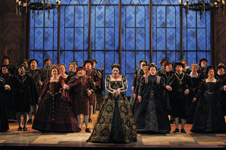 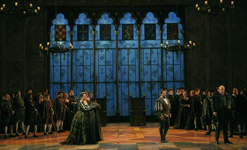 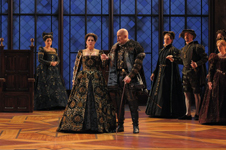 Sets and costumes are evocative, full of the rich, dark colors and lush materials of Renaissance paintings. 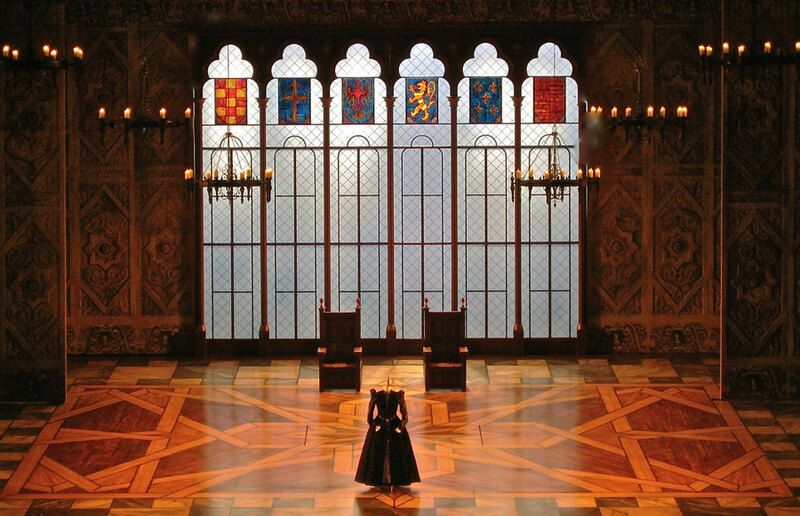 The décor is spare, but the grandeur of aristocratic Spain is clear in walls that look like carved ivory and courtiers adorned in brocades and velvets. 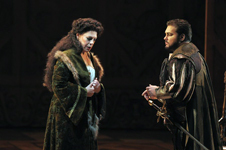 "Lyric's new Ernani was presented at a level of excellence that few opera companies could afford these days. 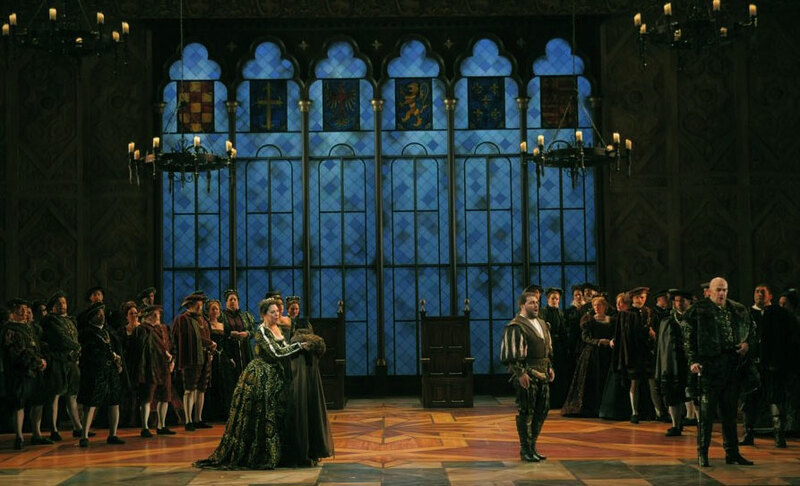 Jose Maria Condemi's direction was a showing in good taste, precise staging and consummate theatrical flair"
"ROUSING" Jose Maria Condemi's staging is traditional, conservative and respectful of the drama. 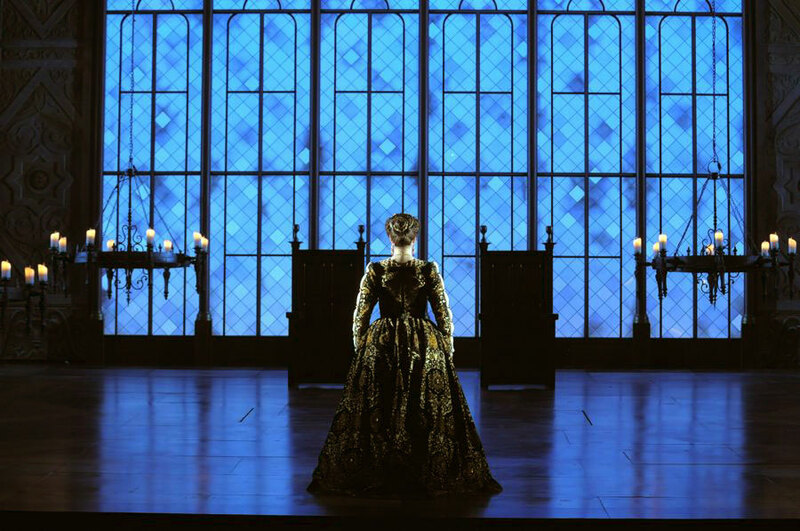 Visually it's a sumptuous show. 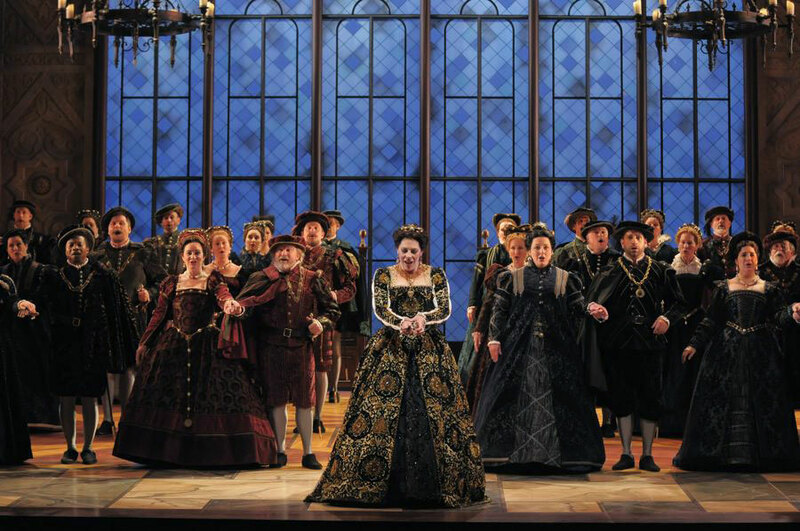 Scott Marr has created a Spanish Renaissance fashion. 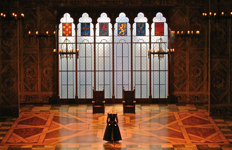 The lavish sets, lit by Duane Schuler, include towering, ornately decorated, Moorish-style castle walls, carved mahogany doors and a serpentine column set on a steeply raked parquet floor." 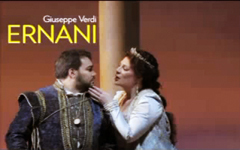 "ENERGETIC".Lyric has created an energetic new production of Verdi?s early masterpiece Ernani. 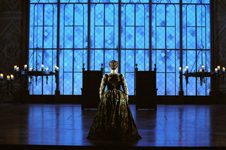 This production is one of Lyric's more inspired offerings." 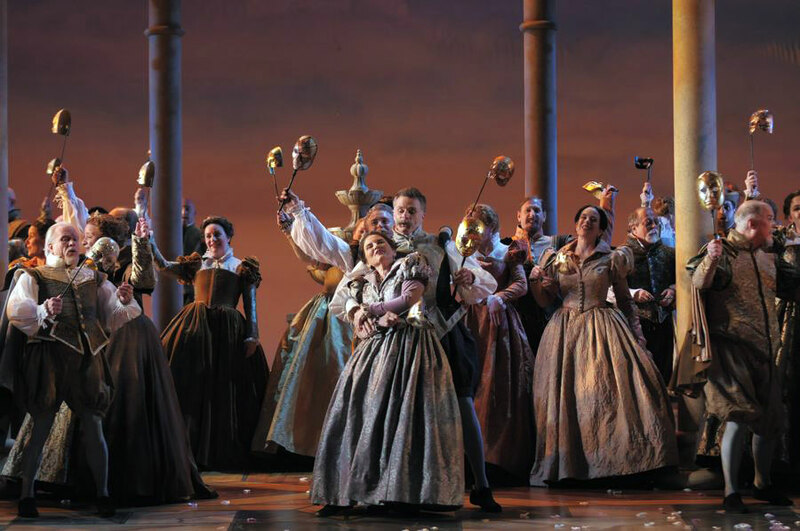 "The young Argentinean-born director Jose Maria Condemi in his first new production at Lyric understands the motivations of these melodramatic characters and is able to take them seriously while having some fun with them." 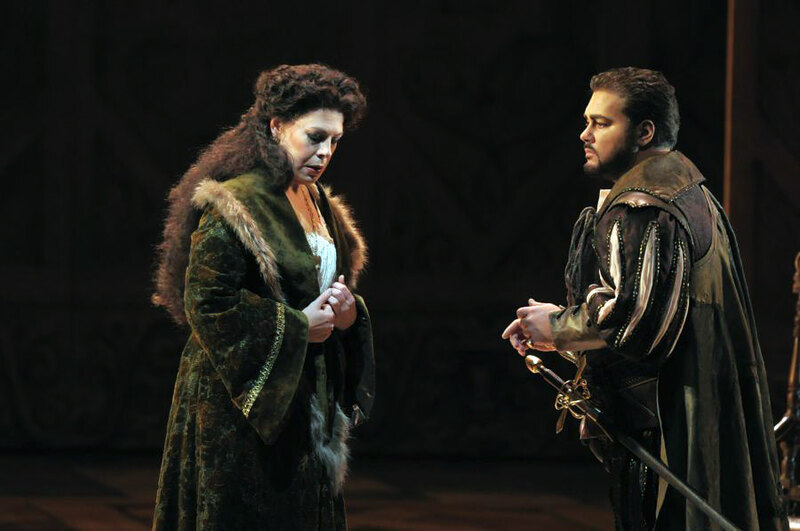 "Director Jose Maria Condemi bravely took Piave's creaky libretto at face value and deftly mitigated many of the staging pitfalls, drawing admirable acting from his singers." 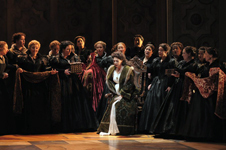 "A new production of an opera is always an anticipated event. That's one of the reasons the Lyric Opera of Chicago's presentation of Giuseppe Verdi's "Ernani" is such a treat and such a feast for the senses"
"Ernani is a rip-roaring production, an irresistible gem that is brought to thrilling life in Lyric Opera's stunning production"
"Lyric Opera of Chicago has not only brought together an outstanding roster of soloists to fill the parts, but the company has also mounted in this new production a splendid scenic backdrop and sets reminiscent of sixteenth-century Spain"
"Lyric Opera has done immeasurable service to the cause of Early Verdi by creating a stylish new production of "Ernani". 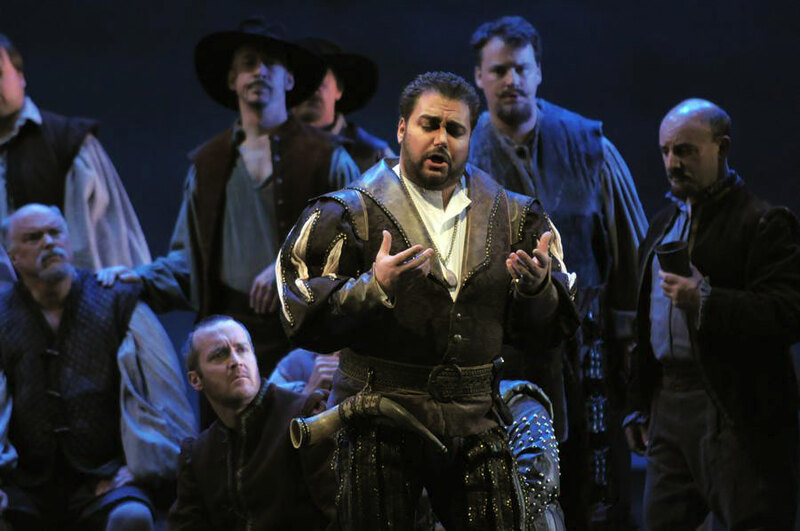 Stage director Jose Maria Condemi hit the ground running with his intelligent staging of the first scene, the bandit's chorus. 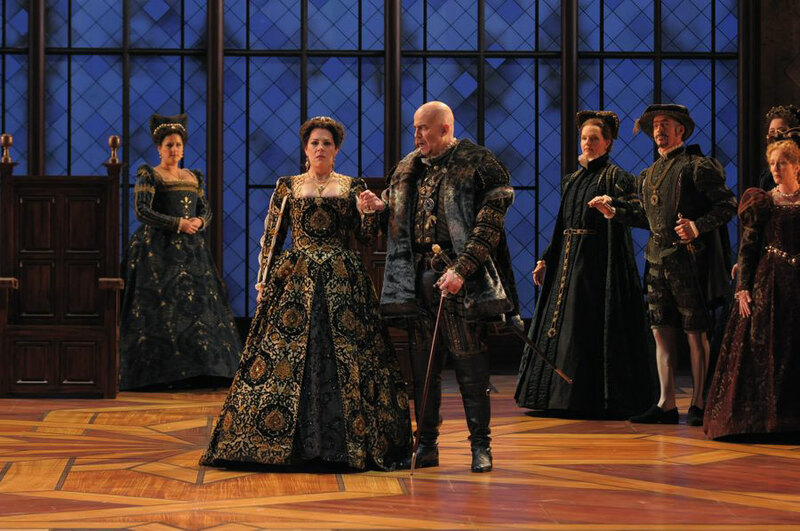 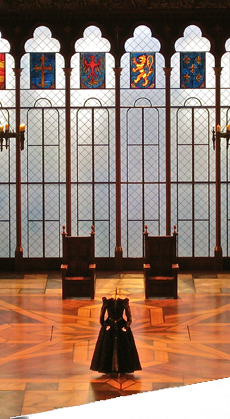 For the rest of the opera, we move indoors into the elegant interiors designed by Scott Marr. 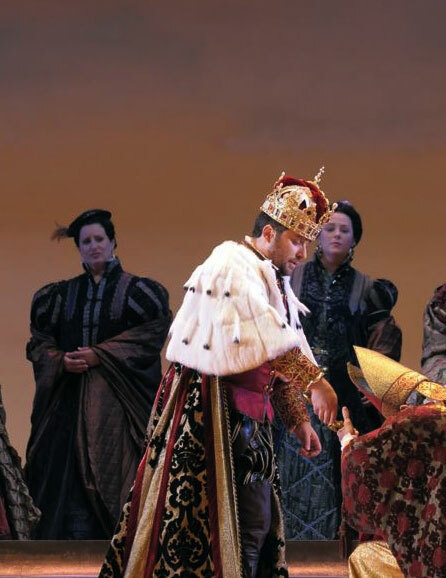 In a coup de theatre as King Carlo stands on the tomb, it sinks into the ground as the church hierarchy enters the chamber to invest Carlo with the robes and symbols of the Emperor's power. 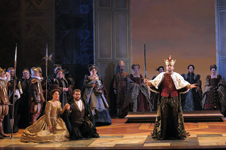 The Lyric's production was an unqualified success musically, dramatically, and visually."